Bottom: Brett interviewing New England Patriot Rob Gronkowski. To my Pittsburgh Steeler fans…I love ya, it’s been awesome playing for the Steelers. 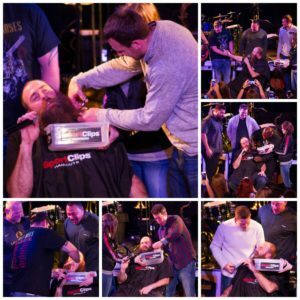 Hopefully we’ll be back next year. Watch his quick interview with Damany Lewis, WPXI as he discusses what Media Day is like for players and for him as a Head & Shoulders Hair Correspondent HERE. 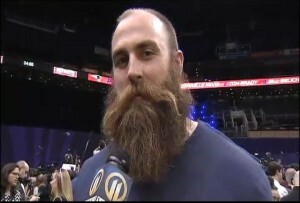 Bennett said he wants a great beard like Moses, Genghis Khan, Jesus, & Brett Keisel. 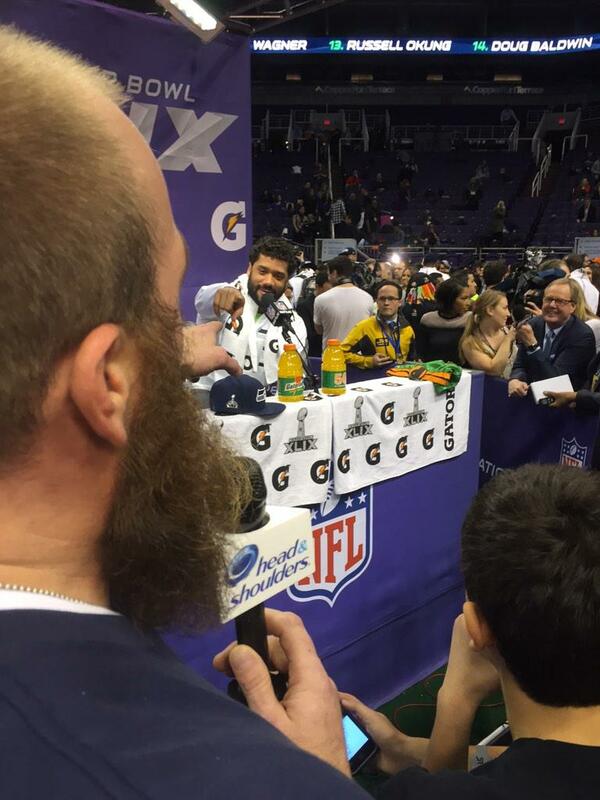 Funny pic of Russell Wilson and I arguing who’s more handsome. Ed Werder is laughing at us in background. 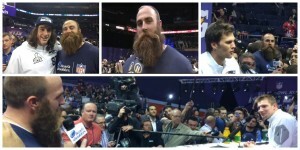 Brett Keisel picks the Seahawks and the Media Day crowd erupts in applause. 12’s out in force. — Corey Griffin, NFL writer/editor for NBC Sports. 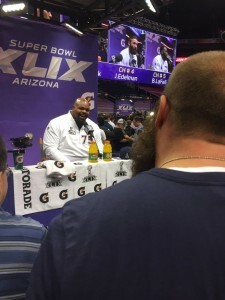 Goes to…New England Patriot, Vince Wilfork. Stay tuned for more news and photos!